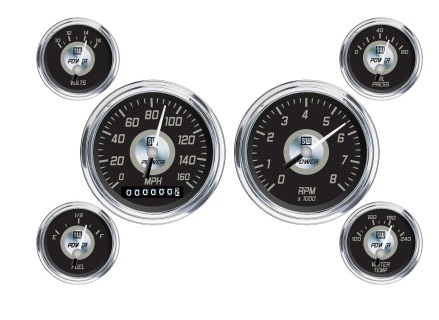 Stewart Warner Power Series analog gauge kits salute the muscle cars of yesterday and today. They feature a disc in the center of the gauge that is available in titanium, blue, or burgundy colors. 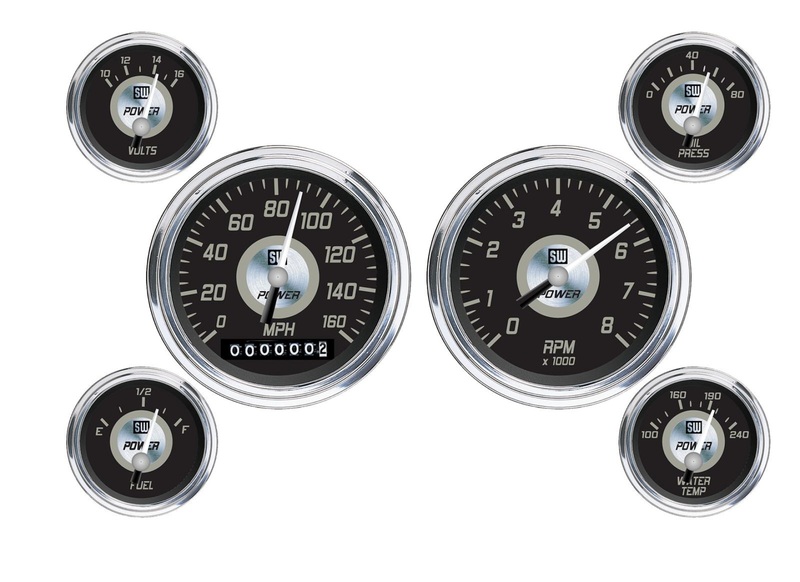 The Stewart Warner gauges use a specially designed pointer with a black base and silver hub with chrome plated bezels, and easy-to-read numbers.